Peekaboo! It’s a tiny Easter bunny inside a crochet carrot! 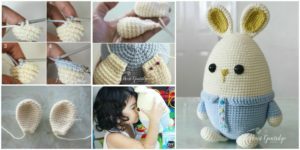 This Crochet Carrot Surprise Easter Bunny is a fun way to deliver the Easter holiday spirit, and to deliver the Easter candy too! It consists of a carrot, which has a stem and a opening, which is for the precious little easter bunny living inside. 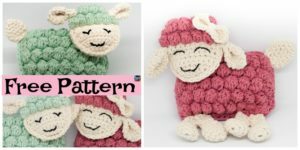 It is perfect for your Easter decorations, if you have any little ones that can’t wait for the Easter bunny! 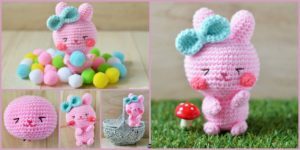 The design for Carrot Surprise Easter Bunny is supersimple and cute, so why not add it to your collection of decorations? 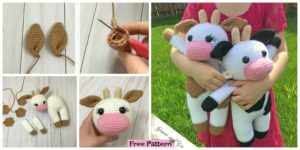 With the instructions in the link down below, you can start crocheting right now! 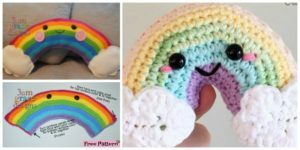 You may also like: Crochet Nesting Rainbow Owls – Free Pattern.